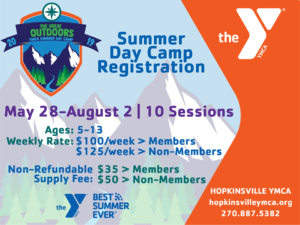 It's time for Summer Day Camps at the Hopkinsville YMCA! Camps are available in 10 one-week sessions, from May 28-August 2. You may sign up ages 5-13, with a weekly rate of $100/week for Members and $125/week for Non-Members. (There will also be a non-refundable supply fee of $35 for Members and $50 for Non-Members.) 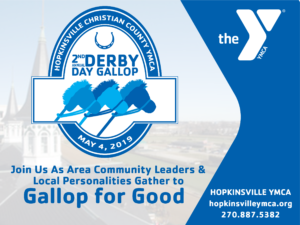 For more information on these summer day camps or additional YMCA programs, please contact the Hopkinsville YMCA at 270-887-5382 .